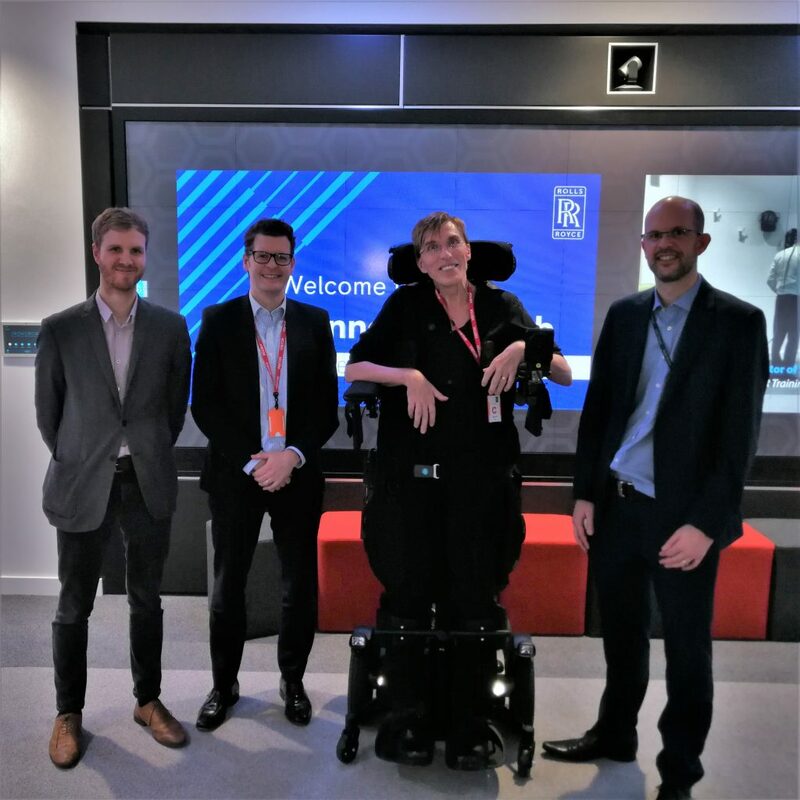 TREMENDOUSLY EXCITED TO BE REVISITING Rolls-Royce plcINNOVATION CENTRE along with good friend (and Director of Care Improvement at the MND Association) Nick Goldup. These guys are at the top of their game; we’ll be exploring how to totally change the world of #MND and Extreme Disability using cutting-edge Hi-Tech! PLEASE SHARE THIS POST! Some #plwMND in UK who claim the #RightToThrive are being told they must die instead, simply because of where they live!! This will not stand. Please visit http://www.scott-morgan.com/blog/right-to-thrive/ to see how we can confront this cruel postcode lottery once and for all. At its core, the RIGHT TO THRIVE is about fair access, genuine choice, and healthcare equality. So, whether or not you have any personal experience in #MND, if you simply believe in Fairness and you have a British MP then please click the link and send an email/letter using the template you’ll find there. Why do I feel so passionate about this? Simple. Statistically, I’ll be dead by the end of this year. Except, I won’t be. Instead, my outstanding #NHS team will give me a life-preserving tracheostomy this Autumn. So, I’ll be fine. But I’ve discovered that others with MND who WANT to follow a similar path to me are being dissuaded or blocked – and I for one refuse to leave them behind. I know we’re all busy with other priorities. But those being denied the RIGHT TO THRIVE feel powerless and vulnerable and The System is skewed heavily against them. It’s a burning injustice and they need more than just our moral support. They need us to PUSH BACK against the status-quo. They need us to change everything from Government (NICE) Guidelines to local (CCG) funding. To do that, we need to MAKE A NOISE that rises above the clamour of Business As Usual, the warnings Don’t Open A Can Of Worms, and Brexit. For far too long, the voice of MND has been largely unheard. WE can change that. As individuals, any of us can easily be silenced; TOGETHER we now need to ROAR!!! 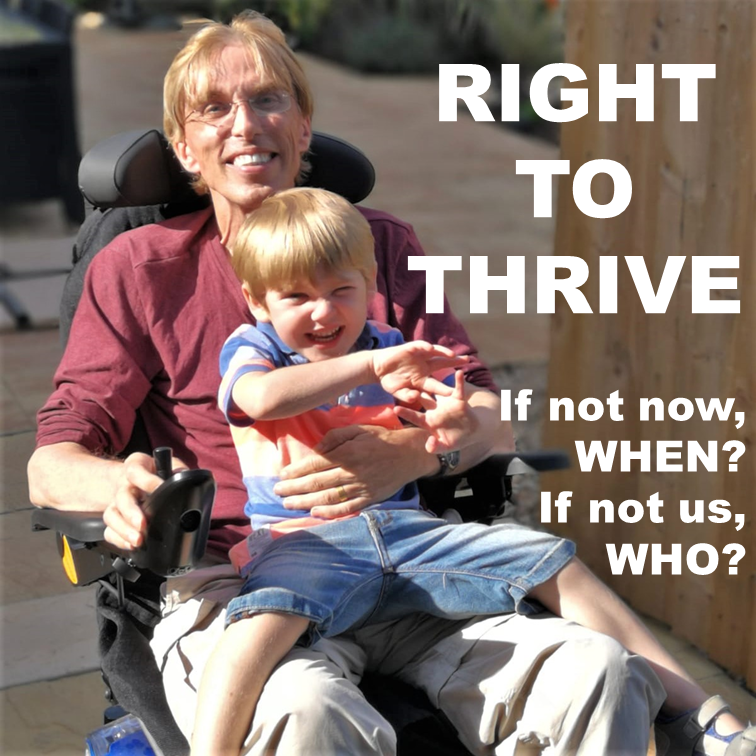 ANOTHER SUPERB RESPONSE to the RIGHT TO THRIVE campaign, this time from Dave McMahon’s MP! PLEASE try to get YOUR MP to be equally supportive. Click on http://www.scott-morgan.com/blog/right-to-thrive/ to find out how.